The ThunderBird comes from strong bloodlines. It has the stability of a TeeBird with the speed of a Valkyrie and glide of the Beast. 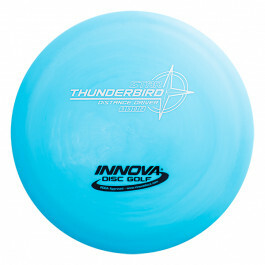 The ThunderBird is very predictable in the wind and a great choice for your new favorite long-range placement driver.